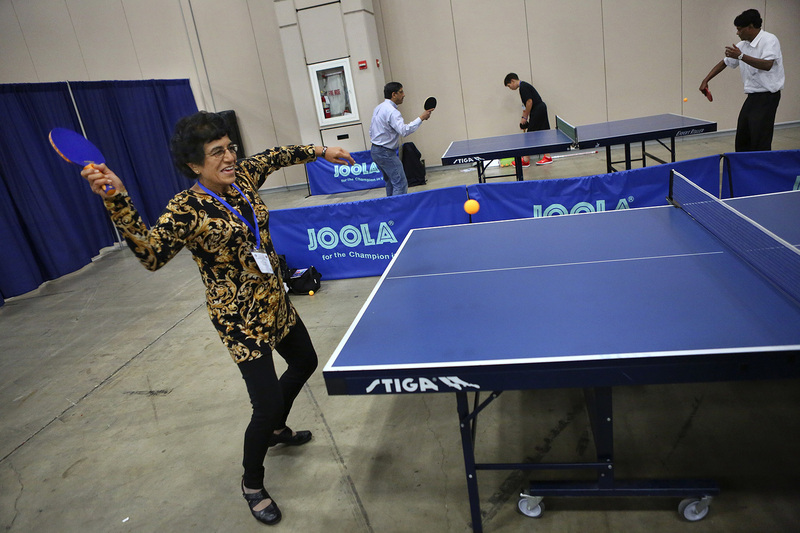 U.S. Air Force Col. (Dr.) Sarla Saujani prepares to return the ball during an informal table tennis match during the 32nd annual convention of the American Association of Physicians of Indian Origin at the Henry B. Gonzalez Convention Center in San Antonio on Thursday, June 26, 2014. The table tennis area was set up as part of this year’s convention theme of physical fitness. Saujani said she began picked up the sport while serving in Operation Desert Storm.